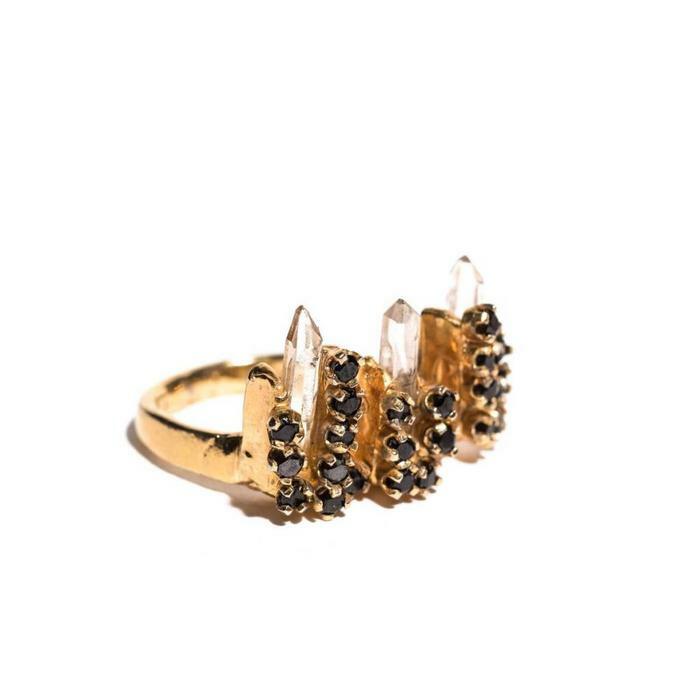 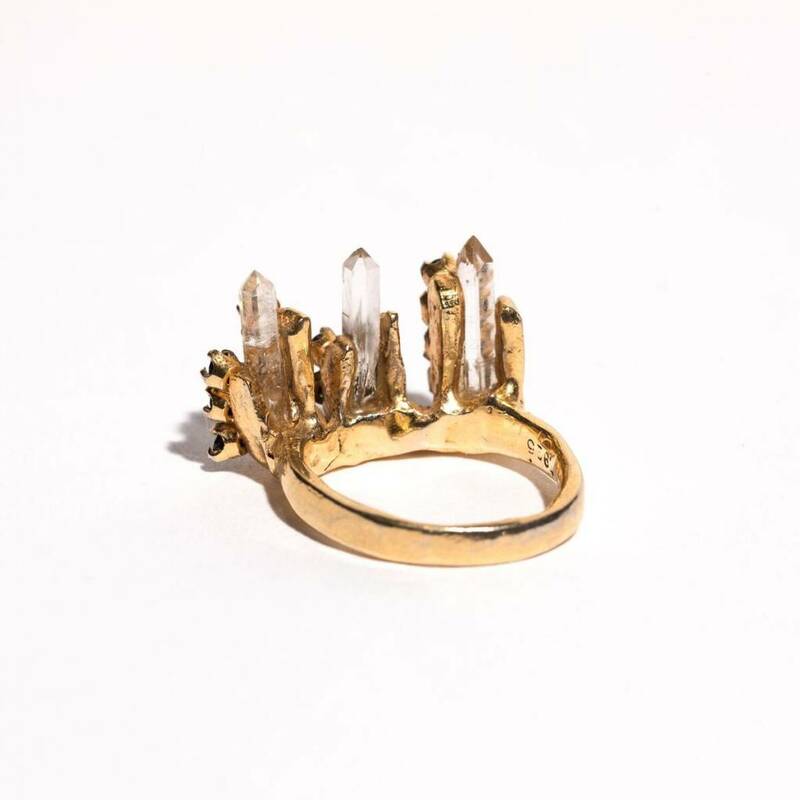 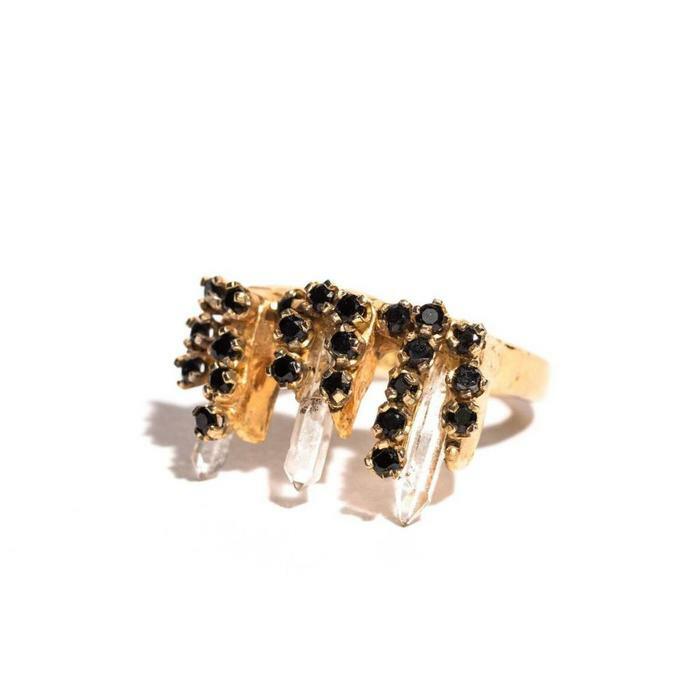 Unearthen ring with Quartz, Black Spinel & Gold Plate. Size 7. Beautiful as an engagement ring!